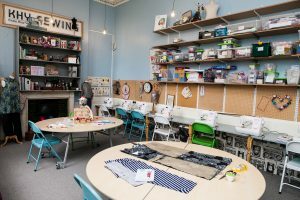 Our room can be hired for a variety of classes or workshops. The space is available to hire weekdays, unless we have a class or workshop already running. Our studio is busy at weekends when we run our parties, classes and workshops. Occasionally we do have a gap at the weekends or if you are planning way in advance we may be able to accommodate.